That’s pretty harsh. 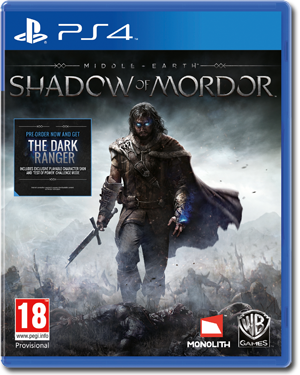 But on the other hand, even if Deathfire had been published, it most likely would not have gotten the same publicity as Shadows of Mordor, and the Psycho Engine would have stayed unrecognized by the mainstream media nonetheless. It would have been a rare gem, known only to a few. I feel with you, however. Today, we can dream, what could have been. On a second thought, the Psycho Engine’s effect ingame could have been so amazing that it could have made Deathfire a bestseller. Who knows? I really hope we will see a game with the Psycho Engine someday. I’m so glad to have discovered that you have a blog Mr. Henkel, that’s super! It’s sad though that Deathfire was not funded, it would be amazing to see the Psycho Engine in action. 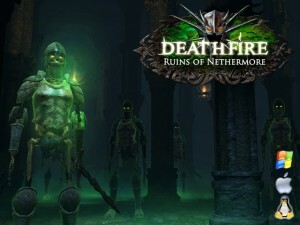 Even though Shadows of Mordor got credit for the idea, I’m pretty sure Deathfire can make it a lot more interesting since it is indeed a RPG. So I hope everything works out for you and your team in the end. Best regards, from a fan in Brazil. I agree, a real shame. There is always a place for old style RPGs especially enhanced with better graphics, NPC actions etc. I still find it hard to believe that ‘Deathfire’ failed to achieve its funding target.